Isabel remembers nothing before the prince rode into her forest to take her back to the castle. Nothing about who she is supposed to be, or the powers she is supposed to have. Prince Rokan needs Isabel to be his Shifter. He needs her ability to shift to animal form, her lethal speed, and her superhuman strength. And he needs her loyalty—because without it, she may be his greatest threat. Isabel knows that her prince is lying to her, but she can't help wanting to protect him from the dangers and intrigues of the court . . . until a deadly truth shatters the bond between them. Leah Cypess wrote her first short story—in which the narrator was an ice cream cone—at the age of six. She has degrees in biology, journalism, and law, and has traveled to Iceland, Israel, Jordan, and Costa Rica, among other places. She now lives with her family in Maryland. 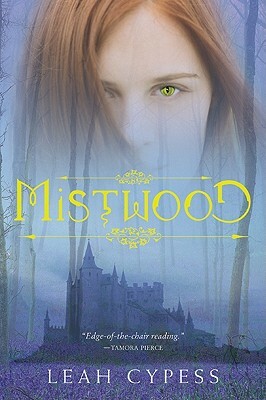 She is also the author of the acclaimed fantasy novels Death Marked, Mistwood, and Nightspell. “Fans of Megan Whalen Turner’s ‘Attolia’ books will be drawn to similar hidden political currents within the court, and fans of Kristin Cashore’s Graceling will wholeheartedly embrace Isabel as a reluctant warrior heroine treading in unfamiliar waters of the heart.